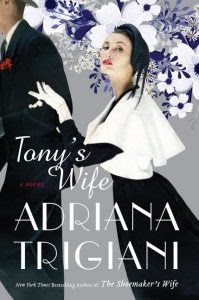 This is not my first book by Trigiani, although I did not realize how prolific she was until I was studying her Goodreads page earlier this week. Her writing flows beautifully, and she has a distinctive voice that she has obviously cultivated over the course of writing her 17 novels (woah!). I know that these days 17 might not sound like a whole lot (I think Nora Roberts has written something like 200), but when you consider how dense these books are with historical research, it becomes all the more impressive. Tony’s Wife was set primarily in the 1940s as Tony and Chi Chi navigate the music industry of the time. But the story continues all the way into the 21st century as Trigiani describes how their relationship and marriage is effected by war, children and their own personal growth. I loved the first half of the book. I loved how head strong and dedicated Chi Chi was in a time when woman really did have to put in twice as much effort – she thought she could have it all. But there were certain aspects of this novel that I was not expecting. If you are going to read this, be forewarned that this story spins quickly into one of loss and compromise. This isn’t a happy story. Still, while I was not really expecting that shift in mood, it was beautifully composed and heartbreakingly real. This is a dense book and one that took me a while to get through. I personally thought it could have been 100 pages shorter but I also felt that the back half was a little more rushed than the first. So while not without faults, I would recommend this book to anyone who loves historical fiction, especially anything that revolves around the music industry and WW2. 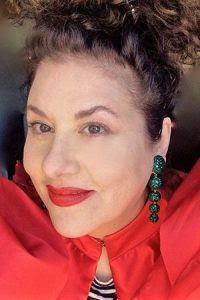 Find out more about Adriana at her website, and connect with her on Facebook and Instagram. I’m interested to see what choices the characters make and how that impacts their relationship in the long run.